Overwhelmed by all your stuff? 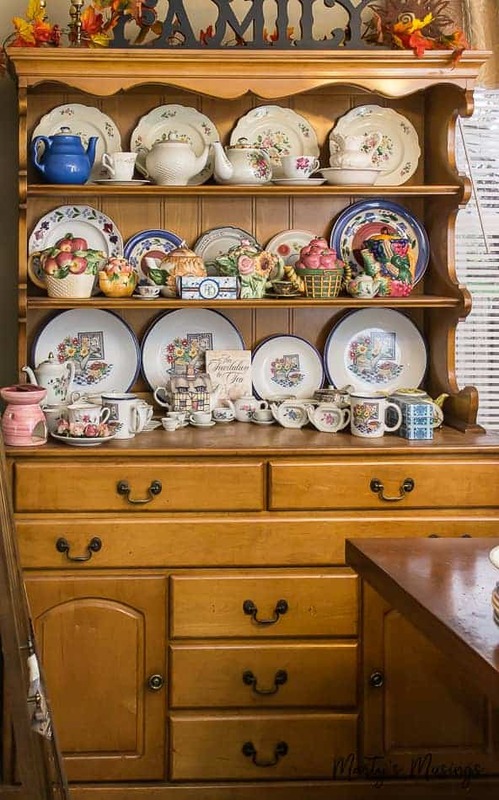 These top 5 secrets for decluttering sentimental items will bring you one step closer to an organized home and life! When I was a newlywed bride I began clipping pictures out of decorating magazines to create my dream home. 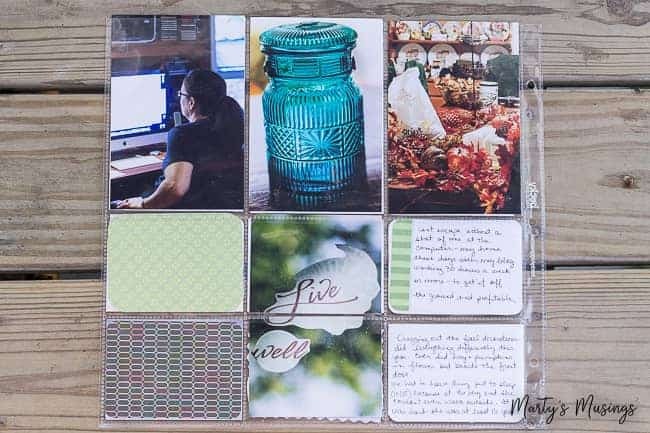 I excitedly cut and pasted the pictures onto notebook pages and watched excitedly as a scrapbook album of sorts began to develop. With no idea what I was doing, I also had no sense of style or purpose. I merely enjoyed the process of looking at beautifully styled homes. My husband and I lived in a tiny apartment barely big enough for us and our two cats. 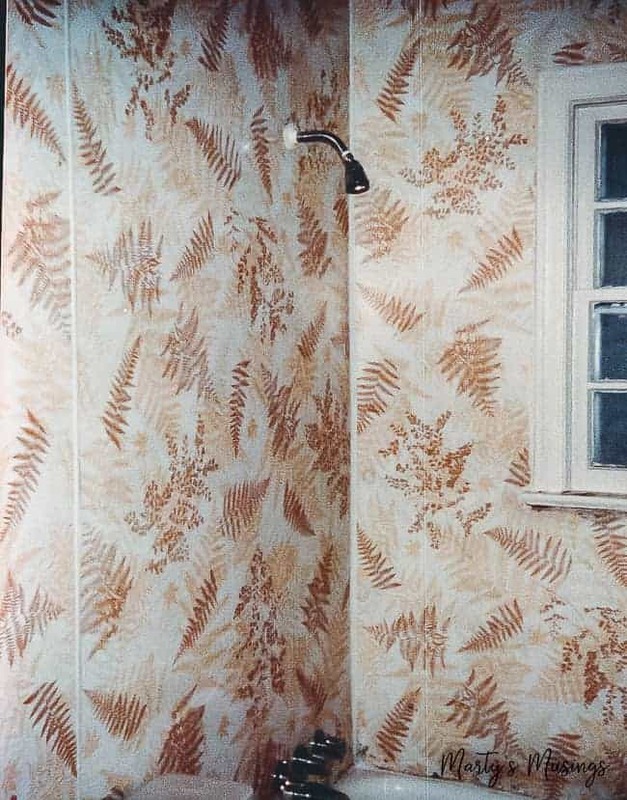 We thought we were moving up in the world when our next home was a two bedroom rental with a spacious kitchen and a bathroom with the most atrocious floral shower kit. I continued to clip magazine pictures just for fun and take pictures of our firstborn, a little girl named Rachel. 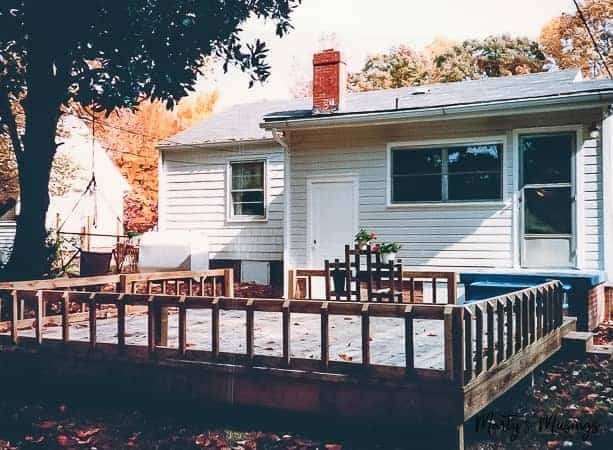 Tim built a deck onto this rental house with free lumber he received. Little did I know it was the first of many DIY projects to come! Every time we moved we continued to turn each house into a “home,” not through a designer’s touch but through the way we took what we loved and made it ours. Looking back it often wasn’t pretty according to magazine standards, but it was the training ground for discovering my personal style and preferences. Here’s what I’ve learned from those years of clipping magazine pictures and studying beautiful homes. We all have our own style and taste. 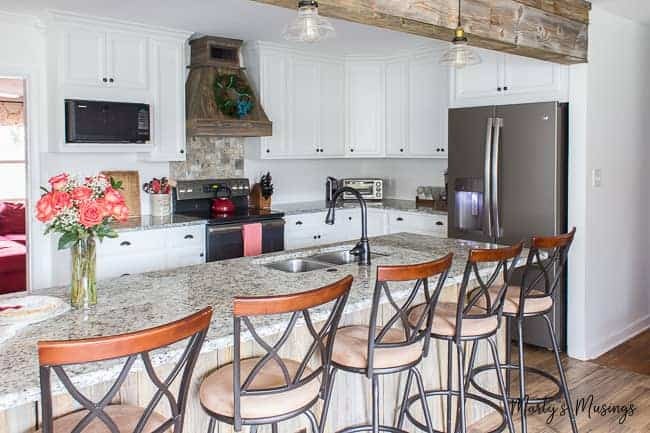 A tastefully decorated home like ones you see in magazines and on the internet is possible. But it will take some work and require some decision making on your part. I don’t pretend to be a designer or decorator, and that’s ok because you’re probably not either! If you’re here you know I’m learning to create a treasured home, filled with things I love while I encourage you to do the same. I have faithfully shopped yardsales and thrift stores (read the top 10 things to purchase here.) I used my craft skills to decorate our home, experimenting with different colors and styles. Along the way I realized I really could transform my home, one small area at a time! Yet when I asked my readers the one thing they struggled with when decorating their home, I kept hearing the same answer repeated over and over. What to keep and what to get rid of. Where to even begin attacking the overwhelm. Oh, boy, can I relate! As much as I desired a beautiful home through the years, I was also faced with the harsh reality of life with five kids and numerous pets. I did my best with what we could afford on a limited budget and learned that contentment comes from within. 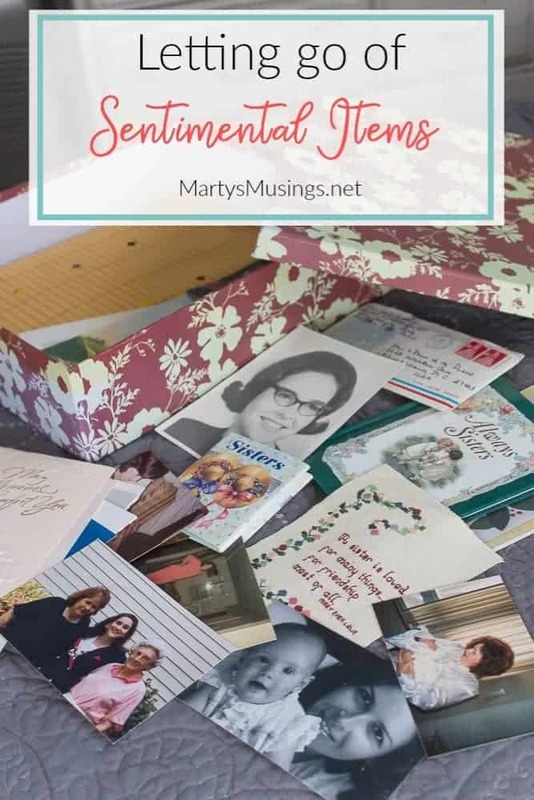 In the middle of homeschooling younger children and maneuvering through life with teenagers and young adults, I also walked my parents through their last years of life. The overwhelming pull of STUFF and the decisions I needed to make, day after day, possession by possession, drained the life out of me. It was hard. I was grieving and wanted someone to just DO IT FOR ME. Can you relate? Are you part of the “sandwich” generation, torn between parenting roles and older family members? Does the thought of letting go of things that feel so important make you want to curl up in a fetal position? Or have you just lost control of your home and WANT IT BACK? 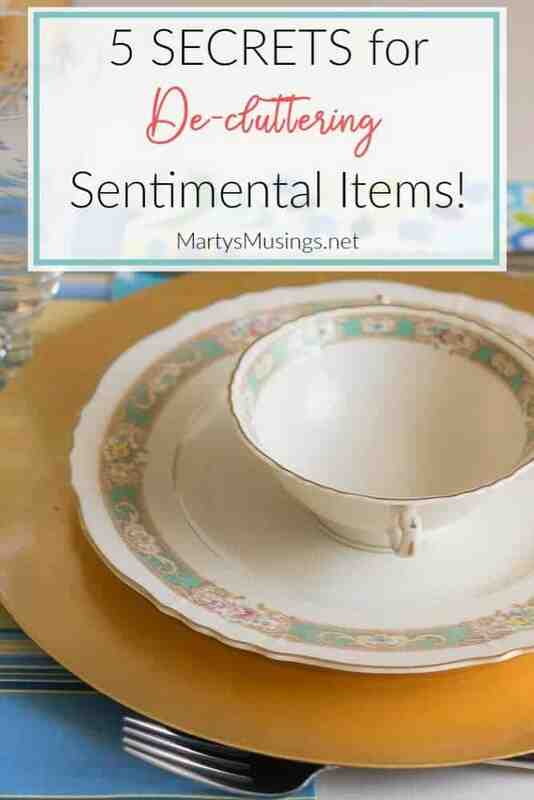 If so, my top 5 secrets to decluttering sentimental items are for you. These are the 5 questions to ask yourself when you’re deciding whether to keep or let something go. 1. Do I love this item and why? Ask yourself do you really love that picture, piece of furniture or knick knack? Then think about the why behind that answer. Are you attached to that wall hanging because it belonged to your mom and it’s a reminder of your relationship? Do you keep that collection of ______ (fill in the blank) because you’re supposed to? Angels, photos, stuffed animals, dishes. You name it. We all have more than one of something. Are you unable to help your kids part with their ridiculous amount of toys because you also have “toys” that are overwhelming your home and life? 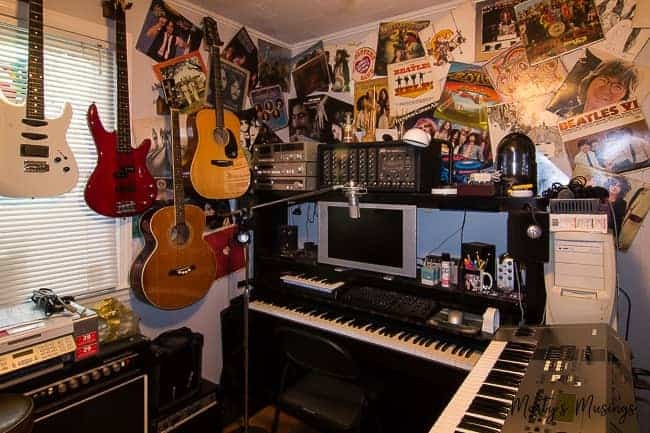 You have to start somewhere, and deciding if you even like your stuff is a good place to start. 2. Does it have a physical place in my home? You’ve decided you love that special piece of milk glass, but is there really room for it? Can you use it to decorate a shelf, hang it from the wall or as part of a centerpiece? Does it have a purpose other than occupying space or is it just one more piece of clutter? Most of us have limited space in our homes, and we often fill those rooms with things that are forced upon us. 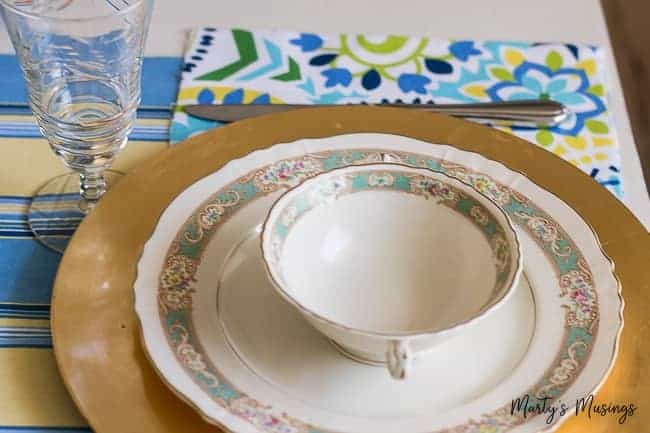 Maybe you inherited your parents’ wedding china but you mostly eat off paper plates. Perhaps you have souvenirs from your favorite trip to Disney World but they’re just taking up desperately needed space in your closet. 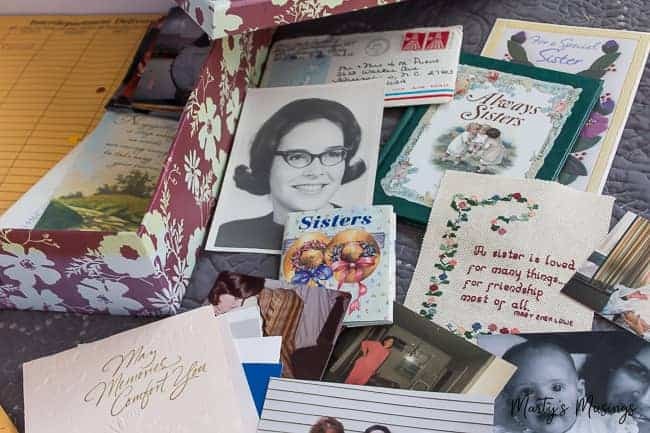 Do you have boxes in storage filled with gifts from family and friends and you can’t even remember what’s in there? Should I even ask about those clothes that haven’t been worn in YEARS? Yep, I get it, painfully so. 3. Is it something I need? Now I’m going to step on some toes here, but first, a personal story. Two years ago we took down a wall between our kitchen and living room and totally gutted the space. 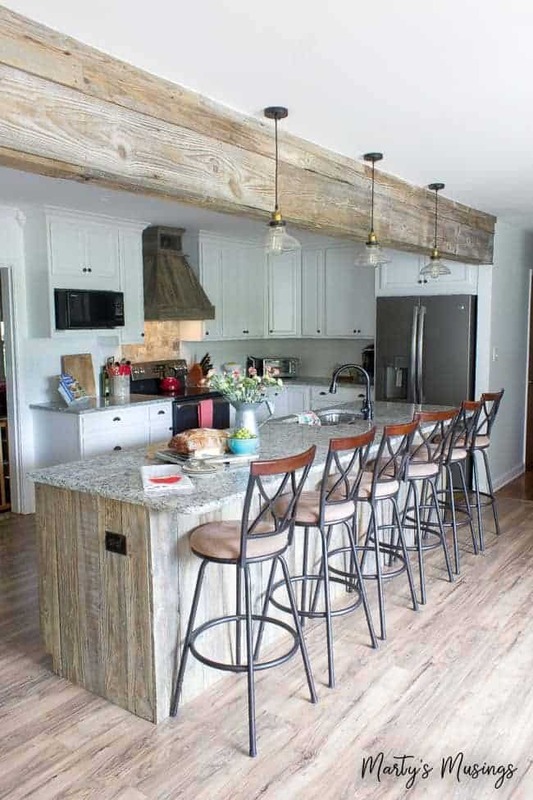 We built the kitchen of our dreams and it still makes my heart happy. But I learned a good life lesson during the process. We had to completely empty out those rooms except for a few things for our temporary kitchen. We rented a storage unit for a month or two and boxed up the entire kitchen. Because we went into this project two weeks EARLIER than anticipated I had no time to declutter my stuff before we started. Did I mention we started right before Christmas? Crazy. Anyway, when the cabinets were installed I began to go through the boxes and fill up my fancy new room. Oops. Where did all my space go? Even though we gained a 10-foot island, I lost an entire wall as well. All of a sudden I didn’t need as many things as I thought. That jello mold from our wedding 32 years ago? Gone. I was not ready to part with my mom’s wedding crystal yet so it was boxed up and put in the attic. A few kitchen supplies were saved for a kid’s first apartment or given to my favorite charity. I was FORCED to make some decisions about what I owned. You may not have to do this as radically as I did but making choices is still within your power. 4. Are you ready to invest the time it takes to care of all the things? Our stuff comes with an obligation to take care of it, unless we hide it in the closet, basement or attic. At that point you need to ask yourself question #3! Let’s talk about our closets, shall we? Full of clothes, shoes, and heaven only knows what else. Do you even know what’s inside yours? How long has it been since you went through and cleaned them out? Does your heart start racing at the thought of dealing with ALL THAT STUFF? I totally get it. I have an attic full of all.the.things. I’ve never gotten a handle on it since we remodeled our kitchen and the contractors did some work up there. The thought of dealing with what’s up there has held me hostage far too long. So the question remains: am I really taking care of the things I’ve been blessed with or are they just occupying space? 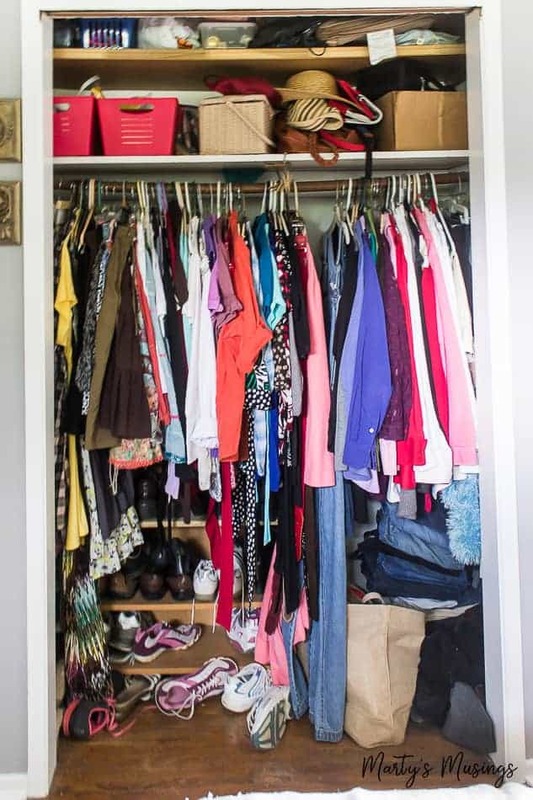 Do you actually wear all those clothes in your closet, use the decorations stored in the attic or that collection of cute memorabilia that you haven’t looked at it in 10 years? If you’re not using what you own you’re not being a good steward of all God has blessed you with. This hard truth can also be freeing if you let it stir you into action. 5. Can I bless someone else with it? 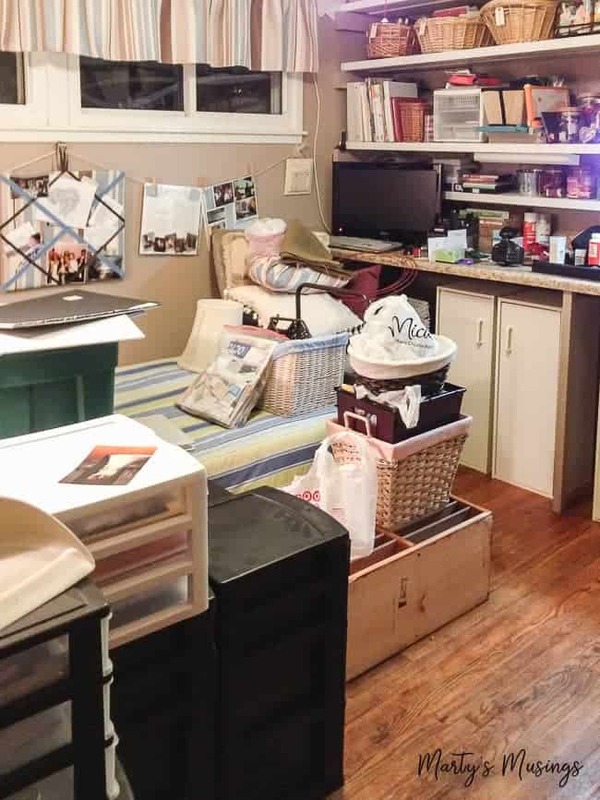 Now that we’ve looked closer at what we have, are you ready to do something about the clutter? As my readers tell me, they don’t know where to start (that’s a whole ‘other post!) 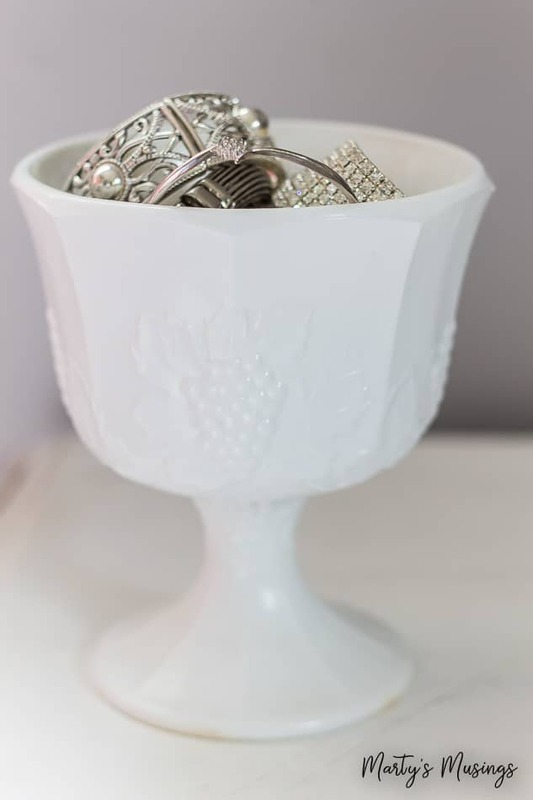 What I can tell you is once you start addressing the overabundance of STUFF you own, you can then decide what to do with the items you part with. I’m a firm believer in blessing others whenever possible. Those clothes that are too little or extra dishes you don’t need, all may be a lifesaver to someone less fortunate. How do you know what to do with everything? Many charities will come pick up larger items like furniture. Some organizations operate a thrift store and use the proceeds to pour back into people (Think Goodwill and Salvation Army.) You may also receive a tax deduction when you give these things away. Often churches will accept donations for their clothing closet for the needy. I like to support a local organization associated with our church because I know exactly where my gifts are helping the most. When you look at life as an opportunity to give back, you’ll be amazed at the ways you can make a difference. Just one last thought. 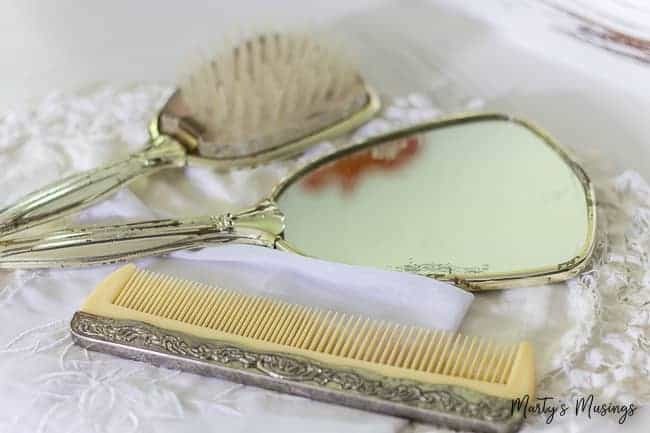 You CAN begin to take control of your home with these ideas for decluttering sentimental items (and everything else!) The power to face your overwhelm is within your grasp! I’d love to know which of these tips resonates with you. Let’s declutter together! For more resources on the connection between grief and clutter, check out these posts!